ClassNK announced that it has signed an agreement with the Government of Myanmar granting ClassNK authorization to carry out statutory surveys on its behalf. 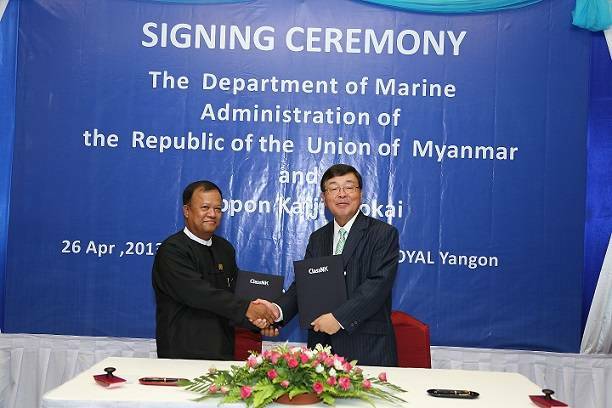 The signing ceremony took place in the Park Royal Hotel in Yangon on April 26, 2013, with Director General of the Department of Marine Administration Mr. Maung Maung Oo signing on behalf of the Government of Myanmar. 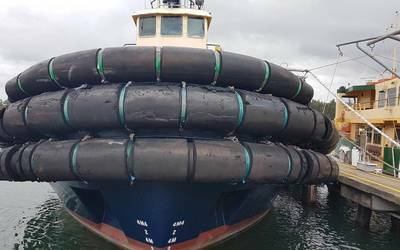 ClassNK has been carrying out surveys for Myanmar-flagged vessels for various international conventions since receiving Recognized Organization status from the Government of Myanmar in 1986. This agreement, which is based on the IMO A.739(18) resolution, compiles all previous separate agreements for each convention along with new authorization for other international conventions into a single agreement. The signing of this agreement will allow ClassNK to conduct statutory surveys for Myanmar-flagged vessels for an even wider range of international conventions. In addition to this agreement, ClassNK also established its first exclusive survey office in Yangon at the beginning of April. With the establishment of this new office, ClassNKcan now directly dispatch surveyors throughout the Myanmar region. ClassNK currently operates 122 exclusive survey offices around the world and is authorized to carry out statutory surveys on behalf of over 100 flag administrations.